Cloud Central, Inc. has been pioneer in implementing Oracle Cloud solutions for our customers in a variety of industries. We are recognized for our ability to provide solutions in all major pillars of Oracle Cloud applications viz. ERP, SCM, HCM, Taleo and Planning and Budgeting Cloud (PBCS). We have demonstrated our expertise in other cloud technologies such as PaaS, BI Cloud Service (BICS) and Integration Cloud Service (ICS) using proprietary rapid implementation methodology. We take pride in the quality of work delivered by our consultants. Our expertise with Oracle Cloud is well recognized – most of our consultants are Oracle Cloud certified. Our team has over 20 years of experience working with Oracle ERP products and we will gladly use our on-premise and cloud expertise to create a strategy for transitioning your business to the cloud. We are one of the select Oracle ERP service providers who have delivered cloud implementations to clients of varying size and complexity. 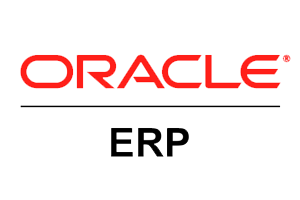 We rolled out Oracle ERP Cloud to increase business agility, aid insightful decision-making, leading to greater productivity and lowered costs. At Cloud Central, Inc., we understand the modern business platform needs and we rollout solutions that help businesses to respond quickly in the highly competitive marketplace. 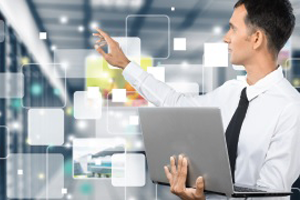 Our ERP solutions landscape covers Procure to Pay, Order to Cash, Record to Report, Demand to Build business flows encompassing the Procurement, Order Management, Manufacturing, Project Portfolio Management (PPM Cloud) and Financial modules. We strive to exceed industry standards with the use of our best practices. Our cloud solutions will help your business to be more responsive and flexible to ever changing business demands. We help you save time and cost through increased productivity and efficiency, where you can focus on helping your organization to scale. 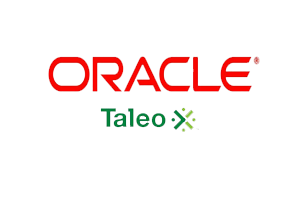 With HCM Cloud and Taleo implementations, we can show you how to get innovation faster based on our experience with HCM technology. With our unique HCM implementation methodology, organizations have the ability to track and manage your recruiting, talent, benefits, compensation management processes. We help companies forecast future workforce needs. We enable technology integration with multiple platforms and necessary business process modification to support the real business needs. 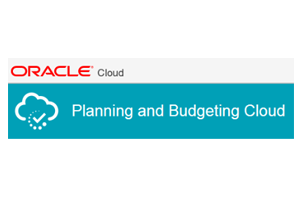 Oracle Planning Budgeting Cloud Service provides greater efficiency for business organizers, analysts, modelers and decision makers across all lines of organization of an enterprise. Most organizations realize immediate value from these implementations. Oracle Planning and Budgeting Cloud Service provides an intuitive Internet 2.0 and MS Office interface for driver established modelling, rolling predictions and direction reporting for time very sensitive and target oriented planning tasks. It is possible to create and share on the fly models and validate them against advanced statistical predictive abilities, thereby creating unbiased, precise, and strategies that are agile. Cloud Central, Inc. is a leading Oracle Gold partner consulting business with substantial expertise in the implementing PBCS applications. Cloud Central, Inc. delivers the expertise required to design and implement scalable, complex enterprise planning solutions that automate your planning process using industry best practices. We empower our customers to optimize their opportunities in Oracle Business Intelligence applications, Oracle ERP and CRM Analytics, and Oracle BI Publisher. 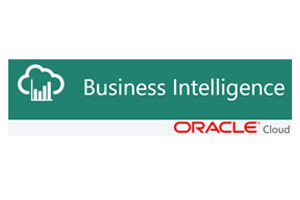 The Oracle Business Intelligence platform provides a complete array of capacities, including ad hoc queries, interactive dashboards, notifications and alarms, financial and enterprise reporting scorecards, strategy, and much more. Cloud Central, Inc. has unparalleled expertise in aiding organizations to implement BI solutions across an extensive variety of industries. Our consultants comprehend BI reporting challenges, as well as platform capabilities, Oracle Business Intelligence tools, methodologies and best practices. Such end-to-end capabilities help us develop BI solutions which work for your organization. These best practices assist you get more from the BI technology while lowering risk and enhancing adoption and functionality. Cloud Central, Inc. provides a flexible offering of managed services to sustain your investments in Oracle technologies. The Cloud Central Managed Services team will help your users with day-to-day operational issues, monthly patch validations, minor enhancements and periodic upgrade planning & uptake. You can pick from a variety of service plans that are flexible to meet your budgets and unique company requirements with a suitable combination of on site and/or offshore resources. Cloud Central, Inc. was created with a vision to be the central player known for delivering world class, high quality and affordable enterprise solutions to customers embarking on cloud journey.